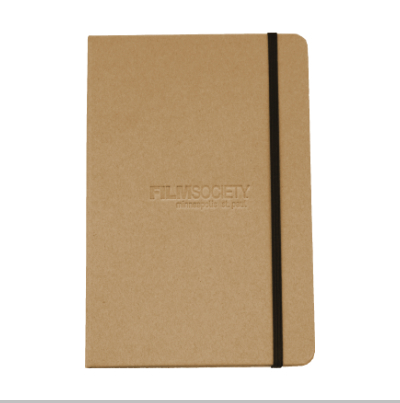 Whether it's planning your festival schedule or taking notes on your favorite film, these eco-friendly journals are fit for the task. Featuring a recycled paper cover, 80 sheets of lined paper, built-in elastic closure, ribbon page marker, and expandable accordion pocket. 5.5"W x 8.5"H x .5" thickness. Features a Film Society debossed watermark.